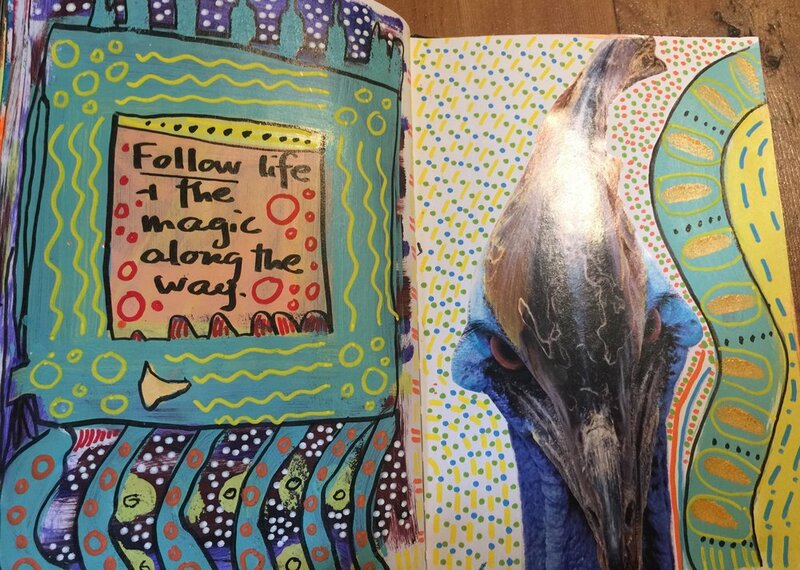 It is in my art journal that I relish the blemishes, the messiness, the absolute imperfection of life. I love seeing chaos on the page, and the feeling of letting go of any attempt to produce something beautiful. Instead, I let the scribbles, drips, tears and rips dominate. I allow the emotions to roar forth through color and shape. It is where I compost my life and let the layers of myself decay and transform into rich, nourishing soil. It all becomes compost that feeds the lotus to bloom from within. I write tidbits about life there: the piles of snow that came overnight; the chicory coffee I had with a friend; the ecstatic dance where my heart soared to the heavens. There, between the hardbound black covers of the journal are my bits, the ones I chose to collect and recollect. I listen for messages from the Universe through the random scraps of paper, wrappers, pictures and string haphazardly glued into the bound pages. I read it all as though I were reading tea leaves and learning about my life. I am at once the mad scientist artist composing, and yet I have no idea what is coming through me, so end up deciphering the mysterious messages once they appear. 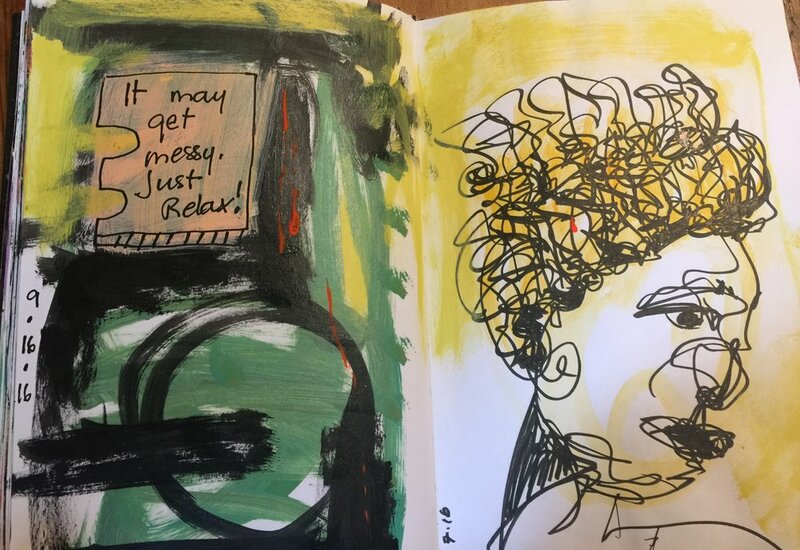 The art journal is my living breathing mirror – a reflection of my psyche at any given point in time, not to be judged for its beauty or resolution, but to be witnessed and read for the codified missives that spirit sends from the other side. In this way it is a thrilling document, and a mystery unfolding. It is a means to understand the worlds beyond and to open to guidance from something far greater than my little self. The process is none less than magnificent. It strips me of ego and shows the microcosm of a human life, which just happens to be mine.